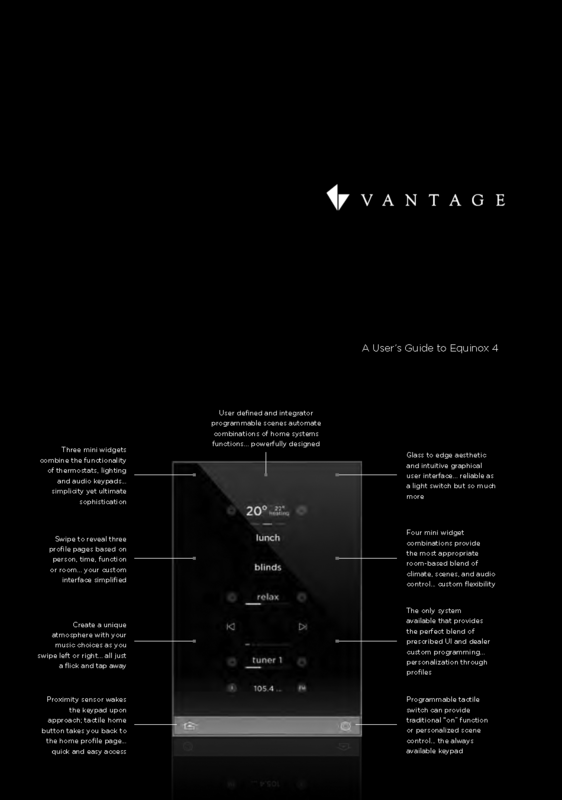 Meet Equinox 4, a beautiful always on, always there LCD keypad that provides intuitive control of your lighting, climate, and audio environment through its single layer user interface (UI). Below you'll find the brochure in a downloadable format with permission to distribute to your network. High quality hand-out brochure is available on demand - contact us.